Val also shared how you can get her regular email tear-downs if you want to keep learning about email marketing. To get this excellent episode in your earbuds, click the play button below, or scroll down for a full transcript. It’s also available on iTunes, Stitcher and your favorite podcast app. Rob: You’re invited to join the club for episode 94 as we chat with copywriter and email strategist Val Geisler about email copywriting strategy and what it takes to convert casual visitors into happy customers, writing a book, and how thinking about your marketing is a lot like hosting a dinner party. Val: Hey, guys. Thanks for having me. Episode 94, that’s so huge. Kira: It’s exciting. I realized before you jumped on here that you are the only guest we’ve had on this podcast that I have also interviewed on my previous podcast from a previous lifetime, the Bridal Rebellion Podcast in 2015. I was lucky enough to interview you about your wedding, and planning, and systems, so I feel like this is just coming full circle. Val: Wow. Yeah. That’s like a blast from the past. It just kind of proves my theory that the journey you go on in your career is one that’s pretty unpredictable, and that if you would have told me in 2015 that I would be sitting here talking to you about copywriting and email marketing, I probably would have laughed at you, but here we are. I didn’t have this plan, but this is where the life has taken me as I’ve let plans unfold. Kira: All right, so let’s start with your story. You didn’t expect to end up as a copywriter, so how did you end up as a copywriter? Val: Sure. Well, I have a degree in theater, so I went to school for theater production. I was a stage manager and worked in theater for several years. Stage managers are the people behind the scenes who make everything happen. They tell everybody where to be and what they should be wearing, and props to be carrying, and when the lights go on, and all those things. When I worked in theater, I traveled a ton and got really tired of not having the same hairdresser ever, or … I really had no, my parents’ address was my home address, so I didn’t really have a home. I just lived in extended-stay hotels, and Airbnb wasn’t a thing then, so like long-term rentals off of Craigslist. I got pretty tired of the nomad lifestyle and was looking for a job that would be similar to what I was doing and found event management. I worked in events both at non-profits, for-profits, and for small business owners. I worked mostly in the wedding industry, very much like theater, organizing a tiny little production multiple times a weekend. Did that for a couple of years, and in that process of doing all of these events, having a pretty crazy stressful job, managing weddings and people and personalities. I started doing yoga, and when I was in yoga class one day, someone was talking about the company Lululemon. Lululemon Athletica was still a super small company in the United States. It was still a big brand in Canada, but there weren’t very many stories here in the U.S. I investigated the brand a little bit, fell in love with them as a company, and started applying for jobs in my area. At the time, this is when we met, Kira. I was getting married, and my fiancé at the time said, “Well, you have all these skills from running businesses. You know how to organize things on the backend. You’ve mentioned a few business owners that you know who need help, who need organizing. Is now a good time to leave the brand and go work for yourself?” I listened, and I took the leap, and I worked for myself. I reached out to those business owners that I knew and said, “Hey, how can I help you? You’ve mentioned this thing, and this thing, and this thing, and I actually know how to do all those things.” They were things like writing blog posts for them, uploading them to WordPress, answering emails, taking phone calls, even. I did like a virtual receptionist for a client. I was a virtual assistant before I even knew that that was a thing. I was just helping business owners. I was doing all of that, and was working in software myself, like working with different systems and tools, and ended up with a job offer from one of those tools I was using, an email marketing software, to write on their blog. They liked my writing, and I was in a place in my life where I thought, “Well, I think freelancing has been really fun. It’s also been really exhausting,” and we were thinking about having another child. It just felt like a good time to try this in-house thing on, so I went full-time at the email marketing company and worked there for a year and a half, did end up having another kid. After she was born, I went back to freelancing, but now, I had all this email marketing knowledge. I realized there was a total juxtaposition between the customer experience stuff I had been doing from theater days all the way through, the line through is pretty steady, so all that customer experience stuff and then taking on the email marketing work that I had done for the last year and a half and honing my chops as a writer, and I combined all of that into basically my dream job of being an email marketing strategist and copywriter for B2C software companies. Val: It’s a long and winding path. Rob: That is a heck of a career path, and, I mean, it’s almost like you had no choice but to become a writer, because you’ve got such a broad breadth of experience from starting a business, to working in a startup, to doing your own thing now. I want to go all the way back to that theater manager role where you started out and talk a little bit about, I’m assuming that having to manage all of the moving pieces of a stage production actually prepared you, in a real way, for all of the stuff that came after, as a project manager, as a leader, as somebody who has to get people in the right places at the right time and coordinate all of this stuff. We’ve talked just a little bit about that foundation. That really translates to what I do today when I do customer interviews, or when I talk to one of my clients. They mention one little tiny thing, and my brain files that and says, “Okay. We need to make sure we do something about that. We’re either going to talk about it right now, or we’re going to touch base on it later,” because those little things add up and become a really big problem further down the line. If I didn’t address the apple with the costume department when they were building the costume, then they could build like a sleek dress with no room for a pocket for an apple, but instead maybe they build a fuller skirt that they know they can put a pocket in. To me, that all translates, and it’s my absolute favorite part of what I do today and what I did back in theater too. Kira: Can you give an example of the apple in copywriter terms within a project of what that apple might be with a client, and then how you handle the apple with your system? Because I feel like the example might help us really get it and understand how we can improve that and catch this apple. I feel like I’m butchering this apple right now. Kira: Right. There we go. Val: Right, so this is a email to newly engaged people, and it’s an email that is going to one person who’s been signed up, typically the person who did the proposing. In heterosexual marriages, that’s typically the man, and we’re trying to engage the partner, the woman in this case, or the other half of the couple. They’re, say, “Okay. Well, let’s get something in there where we’ll direct them to send a landing page to their partner to get them signed up.” Okay, great, so I can write that PS or that line in the email or whatever, but then my brain goes, “Oh, well, then we need to set up a follow-up sequence for that partner once they get signed up.” There’s a whole sequence of emails that needs to go out to that other person, and then what are we doing with the original person? Are we removing them from the list? Are we sending them a few more emails? Do they have an option to unsubscribe that’s separate? Kira: Okay, so then once you have that apple and that idea and you know, “Okay, we have to handle that partner through this different email sequence,” how are you actually flagging that and making sure that you follow up and execute it? Because I feel like that’s where so many of us just fall down. We may hear it and think about it, and we don’t have the system set up to actually execute and take on that next part of the project. Val: Yeah, so I am a grandma in a 35-year-old woman’s body, and I use a lot of paper. I work on the internet and also use paper. I map everything out, so I typically have … I don’t have like a big whiteboard or anything, but I just use pieces of paper. Sometimes they’re oversized pieces of paper. Sometimes it’s my daughter’s construction paper, but I’ll just grab a big sheet of paper and map out the sequence that we’re working on. Then sometimes I color code or highlight what we’re still working on those little notes, so we make sure that they’re covered. I like to keep one of those big pieces of paper for each client that I’m working on, and really for each campaign, because each campaign’s going to have different components. I know there’s like Lucidchart, and all kinds of other mind mapping tools. You can even do some of this in Trello, but I just really like to be able to draw it out, see it there, and then, yeah, sure, I’ll put it into Trello or some way I can collaborate with my client on it, and they can have some transparency on what I’m working on, but I do really like to map it out on paper. Rob: I love this whole discussion, because you’re clearly more than a copywriter for your clients. I wonder if you would walk us through a typical project for you. How do you find the client? How does the engagement start? What’s the kind of work that you’re doing for them, and what’s the hand-off at the end of the project? Val: Sure. Well, what I want to say to the first half of what you said, Rob, is that there was a time, the brief period of time, but there was a time where I was really just a … Not just a copywriter, but I was really just focused on writing copy and not as much strategy. I have learned that doing strategy has, one, it’s more fulfilling to me to know that my client understands how the copy works. I’ve learned that I don’t feel comfortable just turning over a Google Doc full of emails. I want to see the system, whether you’re using Drip, or ActiveCampaign, or whatever you’re using. I want to get in there, plug the emails in, see how they all work together, look at the flow, test everything, so that’s a huge part of what I do, and I would encourage every copywriter no matter what industry you work in to think about, how can you bring strategy to your clients as well? Because I think it delivers a ton of value. I am very fortunate to have a built a network of long-term relationships, and this is something that I’ve heard almost every single guest on this podcast say, is that everything in your business is about relationship building. I would not have the clients that I have today without the relationships that I’ve built, and some of those relationships are six months old, and some of them are six years old. I met Kira in 2014. There is a long process, and I never go into relationship building thinking, “Oh, this is a person that’s going to send me referrals or is going to be a client.” Sure, you might have those moments in the back of your head, but that’s not why I build relationships with people. I build the relationships to provide value in the world and to just get to know other people. I mean, we work on the internet behind computer screens and from our homes most of the time, so I build relationships to know other humans. Constantly checking in with people who have referred me before, letting them know how they can refer me, what they can refer me for, and then making those direct asks. That’s how I get every single client I’ve ever had. The process after that really varies per client, but I’d say it always starts with some kind of relationship building. There’s very rarely somebody just like, goes to my website, sees my day rate, and clicks “Buy.” That almost never happened. Actually, I don’t think that’s ever happened. I’ve had one or two people buy like my one-hour consultation just kind of out of the blue, but no one ever really buys my bigger services and packages just through my website. Kira: It’s interesting. What you’re saying about relationships, I totally agree. I was thinking about it this morning, too. I was like, “I feel like sometimes I’m not even in the copywriting business. I’m just in a relationship business.” I’m just like, “I just want to build relationships, and that’s all I want to do, and copywriting is on the side.” I’d love to hear more of an example, going back to the strategy piece, with examples where you said, “I don’t hand over a Google Doc with emails. There’s strategy. I want to look at it.” Can you talk more about what that really looks like and give examples of what we could do to provide more strategy within the email context? Val: Yeah. One thing is that I learned it’s really hard to get data and results out of clients if you can’t get it yourself. What I mean by that is that typically after a project is done, hopefully they’re very happy, are getting good results, but they’ve moved on in some capacity. They’re either on to the next project, or they’re swamped in their work. Especially in my line of work, I’m working with these growing software companies. I typically work directly with the founder or like director of marketing, and they’re really busy people, and so to send an email saying, “Hey, how were the results of that last campaign?” I’m putting more work on their plate to get the results so that I can show them for my future clients. They’re happy that they got the results they have. They don’t need to spend time going and gathering those results. To avoid having to ask them that, I ask them up front to give me access to their email software. Again, it depends on the tool, but … Like a lot of my clients work with Intercom for their emails, so I say, “Set me up with a login, or share your login details and last pass,” or whatever. They usually set me up with my own login, and then I have never-ending access to the backend of their system. Typically, they don’t go in and remove me after a project has ended. Val: You don’t really think to do that, so I feel like I just ask them for the access, and then I have it, and it allows me to take my emails that I write, go in, put them into the system, set up the campaign, make sure the formatting works, even test them. I send test to my own inbox to see what they look like both on my computer and on my phone. Depending on the client, there’s a tool I use called Litmus that it really depends on the client, but if they’re really worried about like, “Oh, we have people using all different kinds of inboxes,” Litmus will test your emails and see how they look and perform in different inboxes. If that’s a concern for my client, then I’ll run emails through Litmus to make sure that they look the same across the board. Because I’m a writer, I really focus on text-driven emails, so I typically don’t have a problem with emails showing up weird. They’re not heavily image-based emails, so I don’t usually use Litmus, but occasionally I do, but I like to set up the emails in the campaign, get all the tags set up, because, like we’ve said with the bringing in the partner example, what kind of tagging do we need for each subscriber? How are they coming into the campaign? Are there tags that need to be assigned to them based on links that they click, or opening a certain email, or taking action on a certain email? A lot of more robust softwares, you can set up goals, so if one of your personal goals is to have data about your clients, set up those goals, learn about how to use these tools, and set up goals for your campaign. If the campaign is meant to drive conversions, then you want to set up a conversion goal on the campaign. Then you can track over time, you can just set a little calendar reminder for yourself. Go in and check the results of the campaign over time, and you don’t have to bother your client about it, and then you can, as long as you have the clause in your contract that you can write the case study, you have all the data that you need, and details, and you can get the case study written and put on your website. Rob: Yeah. Lots of stuff there. Val: I mean, it is a lot. I think the biggest thing is, if you work in email, pick the tool that you see most often. That might be Intercom. That might be Drip. Drift is one that’s becoming really popular, especially for software businesses. Pick a tool that you see most often coming through and that you really love to work in, and train yourself on that tool. Dive into the knowledge base. Learn how to use it inside out. Learn how to set up those campaigns and how to read the metrics, how to set goals and tag, and become a power user of that tool. Then you can provide that extra service to your clients. Instead of just delivering copy, you can deliver copy and strategy when you know how to use that tool really well. Rob: Okay, so obviously this discussion around tools is pretty big, and there’s probably not a right answer to the question, “Which email tool should I use,” but you mentioned Litmus, which is a way to do some testing. Are there other tools besides the actual email client that we ought to be thinking about as email copywriters that we should be familiar with? Val: Sure. Well, I mean, I love writing in Airstory. That’s a tool that I use every single day. I like writing emails in Airstory, because I can lay out a campaign in the tabs feature that Airstory uses, so it kind of works like an Excel spreadsheet in that I can click from tab to tab to tab and see all of my emails in the campaign. Then when I walk my clients through, when I get on a call and screen share and walk them through the copy, it’s really easily laid out. I’m not worrying about switching documents and having all kinds of wasted time on that call. It’s all right there. The other thing I like about Airstory is, I can create templates from emails that I’ve written and really like. I can turn it into a template and have it to use. Not that I’m copying and pasting emails across every single client, but I certainly will template a certain layout. That’s a smart thing for any copywriter to do, to have a little swipe file. I use Airstory. I use that. I occasionally use Litmus for testing. Let’s see. Depending on the email marketing software I’ll use, because I worked in-house at an email marketing company, I had the opportunity to try out every single email software out there, so I have a working knowledge of almost every one, so I use those, but I can’t think of another tool that I use to deliver those results. It’s really about the copy and the email itself, and then the tool that it’s being implemented in, the ESP. Val: That would make me vomit, honestly, if I knew that someone was going to be opening my emails with no explanation or context to what I wrote. I certainly don’t spend an entire call justifying what I wrote, but I do, when I have the copy ready for the client, I schedule a call with them. It’s typically like a 20-minute call. It’s not very in-depth, because everyone can read, so the idea is, we’re going to go over these emails like a quick overview. I’ll give you the context, the why behind each email, the why behind the call to action. I’ll ask questions, because sometimes I do have questions like, “Is this data that you can pull and we can put into Intercom or whatever you’re using?” With software companies, there’s a lot of times where they have to pull data in order for the email to be sent, so again, that’s that tagging and segmenting piece. Kira: Yeah. It’s such a great idea. When you’re mentioning the tagging and that you should really become this power user of the tools you’re using, it’s so true, especially if you want to be the strategist and a partner on these projects, but I was always wondering, I wonder how much you’re charging, because you’re doing so much extra work beyond just writing the copy, so how do you package that into your rates so that you’re getting paid for all the time it takes to work behind the scenes and set it up? Val: Right now, I do a few things. I have a day rate, and I have both a half day and a full day available there. Then I also quote custom projects. I don’t charge by the hour. I don’t charge by the email. I actually, for custom projects I typically take my day rate, so I’ll say, “Okay, well, this is roughly 12 weeks’ worth of work. I’ll probably work on it for like a full day each week,” or maybe depending on the speed with which they want it accomplished, maybe it needs to be two days a week for eight weeks. Then I add all of that up, and then for a project rate I typically say like, “Okay, well, let me pull one day’s worth of work off of that,” so that they could buy it as individual day rates but locking in a project. That could be a $14,000 project or a $20,000 project, when it’s all said and done. That’s what I deliver to those custom projects. That accounts for the extra time. It accounts for the strategy side. That’s knowledge service, so it’s not like, I’m not typing constantly for six hours straight. There’s strategy. There’s knowledge learning, and then there’s even some training. Maybe they have a software that I haven’t used a ton, and so I need to do a little bit of learning about the software, so I count that into how long the project will take. Then, yeah, it’s my day rate times however many days it’s going to take. Rob: Val, can I ask you a hypothetical? Let’s say that I have a client that I need to either warm up a list or I need to increase conversion rates through email. Are there certain strategies or templates that you use that can take somebody from, say, being a somewhat interested prospect or a casual visitor to a website and turn them into a paying customer? Val: A welcome sequence. I do email onboarding teardowns on my website, and I really do focus on software teardowns, but welcome sequences, our onboarding sequence, are useful in every industry, so services, product, software, all of it. Everyone should have a welcome sequence, and that welcome sequence can do a lot of things. It tells them who you are, because they are someone who’s probably just come to your website, or maybe has read an article or two and is finally signing up to your email list, so they come to your website, they sign up, and then they don’t hear from you for a long time. Then you finally send them an email when you remember to email your list, and they unsubscribe because they don’t know who you are, so you have no opportunity to convert them to even a lead at that point. When you use a welcome sequence, they sign up to your list, you send some emails that tell them about you, about what kind of value they can find on your website, on your blog, the people that you work with, and then you can even segment, so you can do some of this segmenting and tagging by asking them to click on a link, or asking them to take a particular action that will then tell the system, “Oh, okay,” so my list, for example, there tend to be kind of two different types of people that come onto my email list. One is like people who work in the software world, and then kind of everybody else. I actually, in my welcome sequence, have an email that asks people to tag themselves, to click on a link and tell me who they are, what kind of industry they work in. Then I have a separate follow-on sequence for each one of those tags that tells them how they can hire me, how they can work with me based on the industry that they work in. I spend a good deal of time delivering value, telling them what kind of value they can get from my website, who I am, building a relationship. That’s that relationship-building piece. Then I ask them to tell me a little bit more about what kind of work they do and then I pitch them on services. It’s still a very friendly conversational pitch. It’s not anything really hard pitch at that point, but everyone on my email list knows how they can work with me if they want to because of that welcome sequence. Rob: Okay, cool. Then are there huge mistakes that you see companies making over and over, or even individuals like freelance writers, over and over in email that we need to be looking at and fixing? Val: Yeah, so not using a welcome sequence. Kira: You’re giving me homework, Val. Thanks a lot. Val: Yeah. I mean, just like one email to let them know that they do what they intended to do, that they’re in the right place, that they made a good decision. That gives people a lot of confidence in what they have just done, which is, they’ve just let you into their inbox, which is like sacred territory these days, so you want to be mindful of that. I’d say that’s a huge one, and then obviously stay in touch with your list after you welcome them. Rob: Yeah. That one hurts a little bit right now. Val: You don’t have to email people every week or multiple times a week. You can send a once-a-month email. You can send a every other week email, and you don’t have to even create your own content to do that, but just setting a cadence for yourself and staying in touch regularly, because otherwise people don’t have context for who you are, and our days move so fast that you want to always stay in touch with your list and give them context for who you are and how they can work with you or refer you. Kira: Yeah. I think I’m like a once in a decade mail list type of person at this stage. Kira: Every decade, you will hear from me one time. I can stand behind that. Rob: That, yeah, changing my copy right now to exactly that. Kira: And then we won’t. Val: Right, but I think email, you need to be a little more purposeful with it. Kira: Well, especially if you want to book clients and you want make some money through your list. You need to show up. I want to backtrack a bit to your start with virtual assistants and managing virtual assistants. For someone who might be hiring their first virtual assistant, or maybe their second, because the first one didn’t work out, what would you say are some tips for onboarding someone, like a virtual assistant, to help you, especially for people like me who have a hard time letting people help me? What are some good tips to get started in that relationship? Val: Oh, this was my favorite tip that I used all the time when I was training people on hiring VAs. Take a video, like a screen capture video, audio walkthrough, so when you’re doing something, so let’s say publishing your blog post, you write them, obviously, because you’re a copywriter, so you write them, but you want someone else to do the publishing, making Yoast work pretty, scheduling it out, all that stuff. Great, so when you go to do your next one, screen record and say out loud into a microphone what you’re doing, each step. Then take that video, send it to your new VA, and say, “Hey, please watch this video. Make the checklist that is this video.” Right? “Make your own to-do list of how to load blogs, and then do the next one following that checklist and let me know when it’s done, and I’ll make sure that it’s done properly. Ask me questions that you have. Tell me where there’s maybe gaps in my explanations,” but what that does is, one, you get a checklist out of it, and two, you get to find out how well you communicate, how well that VA infers information, or makes decisions on their own, because you do want to work with someone who’s fairly independent in that capacity where like, “Can I figure out what’s missing here, or do I need to ask every single little question?” Then you will figure out if that’s someone you want to work with or not. You can do that to test out new VAs, even, if you want to, like a test project. That’s something I would recommend doing, too, is like, “Hey, let’s work together on this one little project, do this process, and then see how it goes, and then commit to a regular retainer or a regular amount of hours each month,” whatever you want to do. Always do a test project, and then see … The easiest thing you can do is record that video and ask them to create the checklist from it. Rob: That is such a great tip. I hadn’t really thought about engaging like that. I love that. Val: Yeah. I mean, it’s kind of like a lot of writers have probably experienced this too of like, “Hey, well, we’re looking for someone to write regular blog posts. Write one blog post for us. It’ll be a paid gig, and then we’ll pick from that selection. We’re having five people do this, and we’re going to end up picking two copywriters,” so we work on projects in order to get gigs, and VAs can do the same thing. Rob: Okay, cool. I want to ask you about the book that you are in the process of writing. I know that you’ve got an eBook about marketing strategy a little bit, but you’re working on a new book about some of your experiences in the tech industry. Tell us a little bit about that project and what you’re doing. Val: I spend all day on it. It’s a slow burn project that I am passionate about, and I’m going to write it no matter how long it takes. That’s kind of how I know I’m passionate about it is that I want to work on it in those free hours, so the project is gathering stories of women and their work, the way that women work, the kind of work that women do, so it’s not solely for women in tech, but women who work in industries that may or may not be the norm. Actually, it’s my husband who inspired this project, because he’s a man in the nursing industry, and so it’s kind of flipped for him. He gets emails that say, “Hey, ladies.” He’s like, “Hi, also me.” I wanted to explore what it’s like for women, because I am a woman, and I want to tell that story of women who work in traditionally male-dominated fields. Rob: Yeah. When the book is done, whether that’s in a year or in 10 years, we’re going to have you come back and tell us more about that, but you also have this other lead magnet that you’ve written. It’s a short eBook about how marketing is a little bit like a dinner party. Will you tell us a little bit about the philosophy behind that? Val: The Dinner Party Strategy? Yeah. Val: I use it with my clients, and I actually talk about it. I recently did a Forget The Funnel] presentation all about the Dinner Party Strategy, and to me, it’s like I love metaphors, so anything that we can do to relate our work back to our everyday life, I feel like everyone has either been to a dinner party or thrown a dinner party in some capacity as an adult. The idea is that people who come onto your email list, you want to treat them like someone who would come over to your home for a dinner party. You turn the front porch light on, and when they walk in, you take their coat and get them a drink, and if they haven’t been there before, you show them where the bathroom is. Then there’s typically like an appetizer, and then you serve the meal and all the food relates to each other. It’s not like random food unless maybe you burned it and you had to order pizza. Hopefully, the side dishes go with the main course, and then after the dinner’s over, there’s dessert, and then there’s some casual conversation, and the invite to come back, or maybe someone else decides to host the dinner party the next time. It’s all about a relationship and building that relationship over the meal. A welcome sequence, any kind of campaign, really, in your email marketing, is an opportunity to follow that Dinner Party Strategy to, yes, talk about your product and services, but also to provide those appetizers, that tour of the house, that invite to come back. There’s the main course, which is really that product or service, why they signed up to your email list at the core, but then there’s everything else around it that’s happening at that dinner party that really makes it an experience for your customer. That’s the kind of short version of it. There’s a longer version. Kira: All right, so Val, in the last few minutes, I’d love to hear from you about the future of copywriting. What do you think that looks like? Val: I hope that it’s more strategic, so I hope more copywriters dive into how they can add strategy and really become consultants for their clients, so I would love to see more copywriters giving their own orders instead of being order takers. I think when you can, one, specialize and choose something that really lights you up and is interesting to you, and that you’re going to enjoy digging into, and then two, become an expert in that specialty, you really position yourself as something so much more than a very talented copywriter. You now have the strategy and mindset to really lead a project versus checking off boxes on a list for a client. Check off those boxes, but then give them some more boxes that you’re going to fill, too, and then watch them become repeat clients and refer you because you’ve provided such a huge value for them that goes way beyond the copy. Rob: Awesome. Good stuff. Val, you have shared so much great information here. We really appreciate it, but I’m thinking that there may be some people listening that are going to want to hop on your list, or connect with you in some way. Where can they find you online? Val: Get my welcome sequence so you can put it in your swipe file. Rob: Exactly. Exactly, and then you can not email us for a couple of weeks, yeah. Val: Yeah. Yeah, so my website is valgeisler.com. It’s G-E-I-S-L-E-R dot com, and there, you can sign up to my email list there. I send regular onboarding teardowns so you can check those out on my blog, and you can also get them in emails. That’s the best place to find me for email, and then I am pretty active on Twitter. It’s @lovevalgeisler. Come say hi to me and let me know you listen to the show. I would love to say hi in that little space. Rob: So good. Thank you. Kira: Thank you, Val. This has been incredible. We really appreciate it. Val: Thanks for having me. Rob: You’ve been listening to The Copywriter Club Podcastwith Kira Hug and Rob Marsh. If you like what you’ve heard, you can help us spread the word by subscribing in iTunes and by leaving a review. 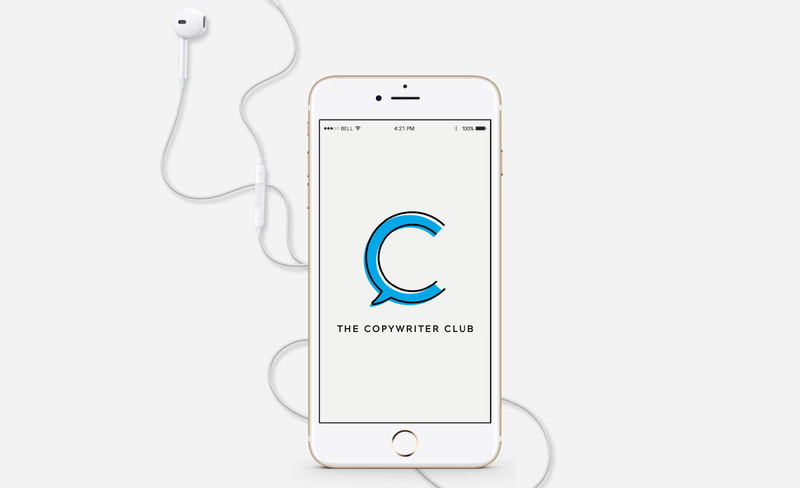 For show notes, a full transcript, and links to our free Facebook community, visit thecopywriterclub.com. We’ll see you next episode.